Prayer is requested for Maddie Brunk, the daughter of Erik and Christine Brunk. 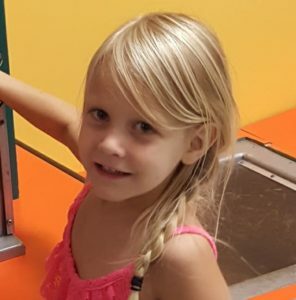 (Erick is the pastor of the Grace Brethren Church, Brooksville, Fla.) Maddie is in Johns Hopkins All Children’s Hospital in St. Petersburg, Fla., after a growth was discovered in her sinus cavity. She is undergoing treatment after a preliminary diagnosis of Burkitt’s Lymphoma. Follow along on Facebook at Updates on Maddie Brunk for regularly updated reports and prayer requests.